When you first meet someone, the natural thing is to think of something to say once you’ve exchanged greetings and introductions. Wrong! Don’t do that. Say nothing. Think about listening. The best way to sell yourself is to let the other person do most of the talking. I focus first on their favorite topic: themselves. The more the prospect talks, the more they reveal about themselves to you. The more you understand about their needs and wants, the better equipped you’ll be to provide them with the right solution and product. You must learn to “listen” with all your senses, not just your ears. What are they telling you? If you want to know what people are really telling you, then get all of your senses into the listening game and put the pieces of the puzzle together. Very few people do this well. To me, listening has always been something I do with all of my senses, not just my ears. My attentiveness to the smallest details about what I saw in other people helped me to understand who I was dealing with. It was one of the most important methods I used when doing homework on my prospects and customers. I knew if they were married, had kids, where they worked, what they were currently driving, their hobbies and interests, and even where they would take their vacations. How did I know all this? By research and pre-qualifying, but mostly by observation—listening with all my senses. For example, if a prospect had a trade-in, I made sure I knew if that vehicle had any bumper sticker messages I should be aware of, like vacation destinations or clubs they might belong to, or if the back seat had baby seats in it—anything that would tell me something about that person. Having that kind of knowledge enabled me to steer conversations to the things prospects liked to talk about. It relaxed them and made them feel comfortable. Before long, we were on common ground. It was the first step in getting them to exchange their money for my product, and that was the name of the game and the bottom line. I knew exactly who they were. The more people notice you intently listening to them, the more likely they’re going to be doing business with you. Listening shows that you care more about them than about yourself. My message is all about people—how to reach them, and how to touch them deep down inside in their innermost secret place where all their important decisions are made. Don’t let anyone tell you that you have to be a psychologist to know and understand people. Use your God given senses and instincts, especially that other important sense—common sense. Give your customers your complete and undivided attention. You will be thought of as more than someone who sold them a product or service. To some, you will become a sounding board for their challenges. To others, you may become a trusted counselor or someone who went the extra mile to help them. When you reach this point in your relationship with a customer, you are planting the seeds of trust and longevity that will pay dividends again and again in the future. Believe me, you’ll know more about people than you ever thought possible, and you’ll come out a winner the way I did. 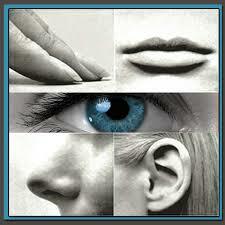 Begin by listening will all your senses!